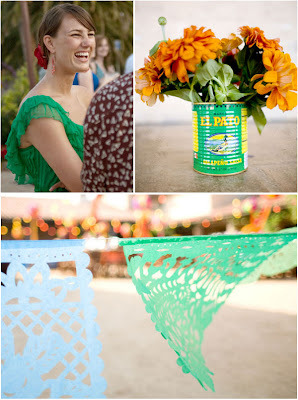 I absolutely adore the idea of a Mexican rehearsal dinner, and this one, spotted on Style Me Pretty, is perfection. 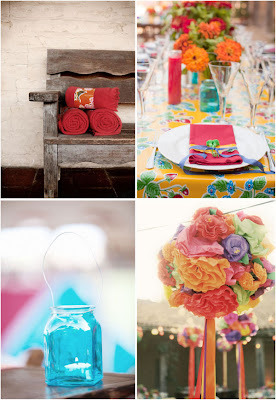 Photographed by Aaron Delesie and styled by Oh How Charming!, I love the colors, the details and more than anything else, the fun. 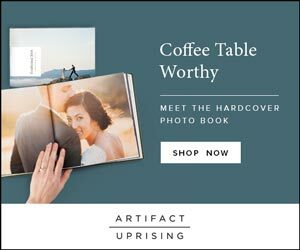 Since your rehearsal dinner will be full of the people closest to you and most integral in planning your wedding, don't you want to throw them a wonderful party? Fish tacos and Pacifico sounds like a phenomenal party to me.